A local resident charged with assault appeared Wednesday in Moffat County District Court for a status conference. Derik Scott, 24, of Craig, is charged in district court with two counts of second-degree assault, a Class 4 felony, and one count of violating the conditions of a bail bond, a Class 6 felony. In addition Scott faces two counts of sentence enhancers, including one count of committing a violent crime with the use of a weapon and one count of committing a violent crime causing serious bodily injury. Though the 14th Judicial District Attorney’s Office would not have to prove guilt on the sentence enhancers should Scott’s case go to a jury trial, they could be used to argue for a maximum prison sentence should Scott plead or be found guilty of the second-degree assault charges, the Moffat County combined courts office said. According to Colorado Revised Statutes the presumptive minimum for a Class 4 felony conviction is two years in prison. The presumptive maximum is six years in prison. But under extraordinary risk circumstances a Class 4 felony conviction could carry a prison term of 12 to 16 years. The presumptive minimum and maximum penalties for a Class 6 felony conviction is one year and 18 months in prison, respectively. The charges against Scott stem from an alleged domestic violence dispute earlier this month with a female victim in the 800 block of East Seventh Street. Scott and the female victim care for three young children together, two of whom were fathered by Scott. All three children were in the home at the time of the alleged dispute. Scott was originally charged in Moffat County Court with three felonies, including second-degree attempted murder, and a host of misdemeanors. But the charges were amended last week when 14th Judicial District Attorney Brett Barkey filed a motion to have the case direct bound to district court. The case is now being prosecuted by Matt Tjosvold, chief deputy district attorney for Moffat County. Kiyomi Bolick, of the public defender’s office, is representing Scott. Because the charges were amended the court had to readdress the conditions of Scott’s bond. He was previously in custody at Moffat County Jail on a $75,000 bond. Bolick requested the bond be rescheduled at the standard Class 4 felony amount, but Tjosvold argued for one schedule higher, or $20,000, considering Scott’s recent criminal history. According to court records Scott was arrested and convicted in 2011 with third-degree assault. The alleged victim in the current case also was the victim in 2011. Tjosvold further argued that Scott violated the conditions of a 2011 protection order in his alleged assault against the victim earlier this month. Chief Judge Michael O’Hara sided with the prosecution and set bail at $20,000. 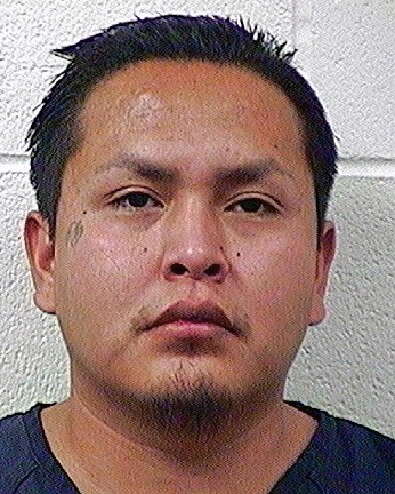 Scott remains in custody at Moffat County Jail. He is scheduled to appear in district court at 1 p.m. Jan. 30, 2013 for a preliminary hearing.